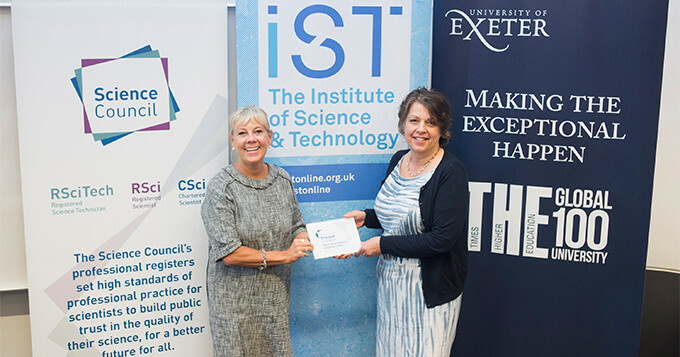 The Science Council celebrated the University of Exeter and the National Laboratory Service becoming Employer Champions through a joint event held on the university campus last month. 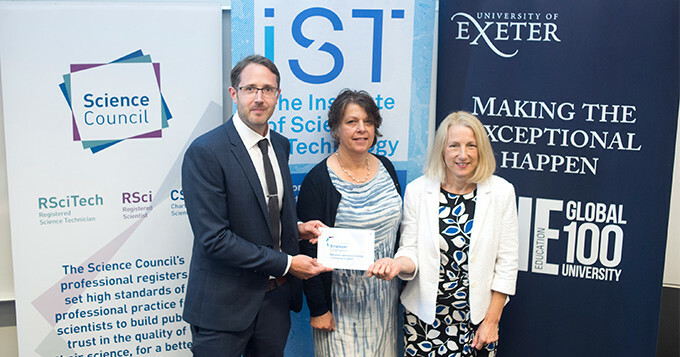 Both organisations were presented with their Employer Champion plaque and were praised for being the first two Employer Champions in the South West. Employer Champion status recognises a shared commitment to investing in the development of staff and supporting them to become professionally registered. John Siddorn PhD CSci CMarSci FIMarEST, Head of the Ocean Forecasting R&D group at the Met Office, closed the event with an engaging talk on the science he does and his own professional development. He told of the importance that the Met Office places on staff participating in continuing professional development and how, since joining in 2002, he has been supported in gaining his own chartership. Find out more about how the Employer Champion programme could benefit your organisation.